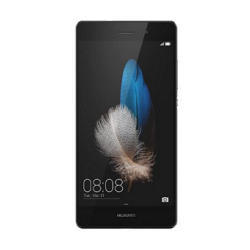 Only 7.7mm slim and flawless lines, the P8 lite makes great design totally accessible. You can watch movies or showcase your pictures on the 5 inch HD display. The P8 lite is a truly unlocked smartphone. It goes beyond the concept of a carrier and contract-free device with dual SIM card trays, allowing you to use one device for two accounts. Huawei has also introduced new photo features like All-focus and Ultra Snapshot to capture perfect memories with the 13MP camera.